AMD has just announced their major CPU roadmap for 2018 which includes updates for the entire desktop processor family. 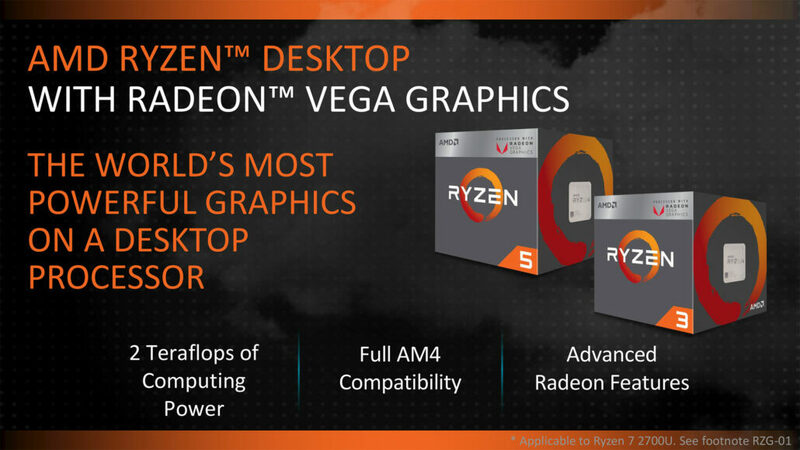 These updates will be hitting AMD’s desktop platforms including Ryzen, Ryzen Threadripper and the Raven Ridge Desktop APUs. There are a couple of things we will be talking about today and starting off with Ryzen. 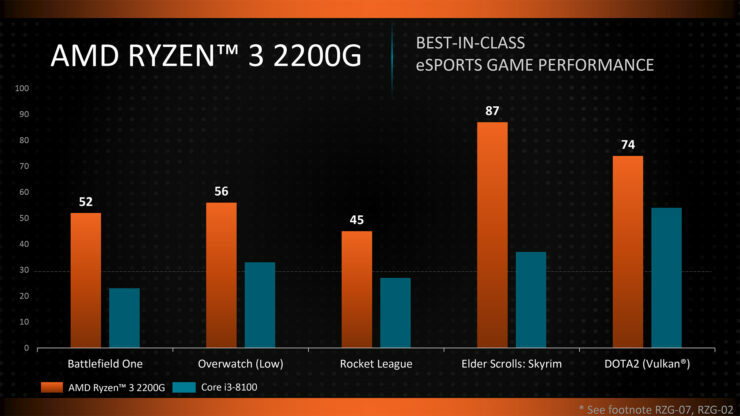 The current generation of Ryzen was released last year and disrupted the entire desktop market, offering great performance and efficiency at stunning price points. This year, AMD will offer a key update for the Ryzen processors in the form of Zen+. AMD is on track to deliver performance and performance-per-watt improvements through 2020. 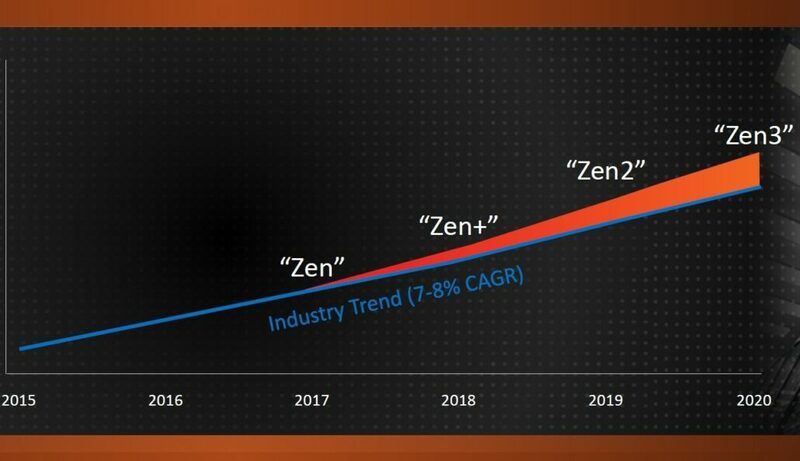 The second generation of Ryzen processors will feature the new 12nm Zen+ cores. AMD plans to launch the processor lineup in April that will include Ryzen 7, Ryzen 5 and Ryzen 3 series chips. It is also confirmed that the new Ryzen family be known as Ryzen 2000 while Ryzen 3000 series is reserved for the Zen 2 core based family that arrives in 2019. As for CPU specific details, AMD says that the 2nd generation Ryzen processors will be the first to use the new 12nm process node. They will deliver improvements in the form of higher core clocks, support of precision boost 2.0 technology. 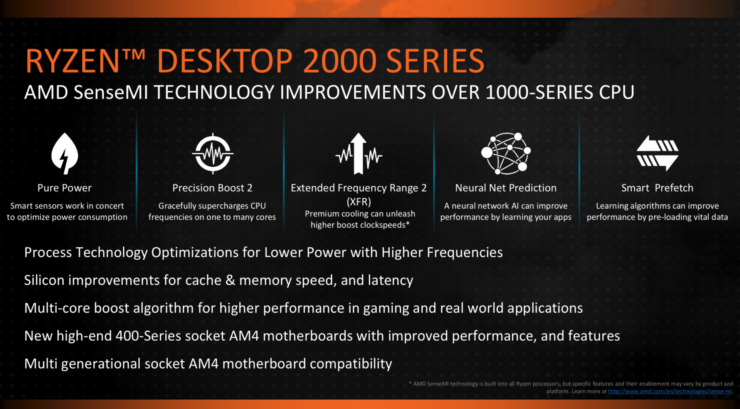 The key thing here is that AMD will continue to 1st and 2nd generation Ryzen support on all AM4 socketed motherboards and that is a good thing considering they are planning to refresh it this year in the form of X470. Being the successor to X370, the X470 flagship mainstream platform will be optimized specifically for 2nd Generation Ryzen APUs but that doesn’t mean you can’t run the chips on last years AM4 boards. The platform is said to feature lower power draw and will also be launching in April 2018 which means next to the latest Ryzen mainstream family. 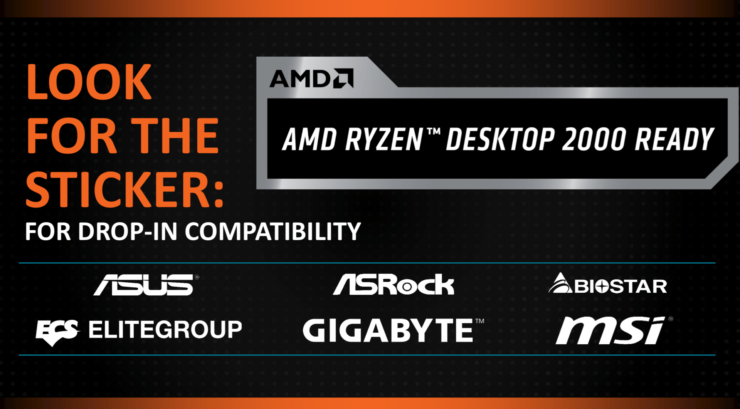 The other crucial thing here is that AMD isn’t just stopping with Ryzen, their Ryzen Threadripper CPUs will also be updated with the new Zen+ cores. AMD has revealed that the entire Ryzen Threadripper CPU family will feature new and enhanced cores by second half of 2018 and that is one great thing for high-end desktop users. 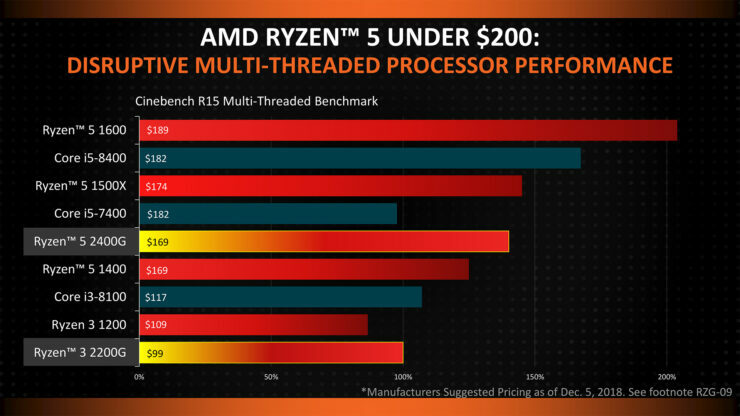 This also raises a few questions, while the most obvious guesses of the improvements include faster clock speeds and better efficiency, will it be possible for AMD to cram even more cores on the updated Threadripper CPUs considering that current Ryzen Threadripper CPUs are essentially repurposed EPYC parts and those feature up to 32 cores. With power delivery and efficiency being better on 2nd generation Ryzen Threadripper CPUs, will it be possible for AMD to unlock more of the cores on these CPUs for even better multi-tasking performance. Also, it seems just like Ryzen, the Ryzen Threadripper CPUs will remain loyal to the X399 platform and the TR4 socket. We might see a new slew of boards with updated designs and heatsinks but current boards are very solid built so we can’t wait to see how manufacturers makes things even better with new products. Finally, there are two updates in the APU category, these include for both desktop and mobile parts. 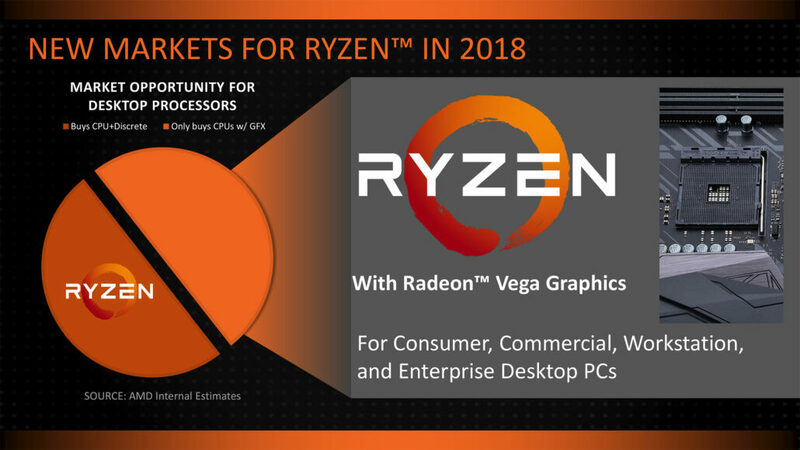 The first announcement is that AMD has officially announced their desktop Raven Ridge or Ryzen APUs and will be available on 12th February 2018. These includes two parts which feature Zen and Vega cores. The cores are based on the same Zen and Vega DNA as last year offerings so nothing has changed but let’s get on with the specifications. In terms of performance, the on-die Vega GPU has some decent graphics performance and the Ryzen 5 2400G with its 704 stream processor can outmatch a Core i5-8400 solution paired with NVIDIA’s GT 1030 graphics. This means that the 65W chip at $169 US has about the same graphics horsepower as a Intel and NVIDIA entry level solution will offer with higher price ($289 US) and also higher power consumption (65W + 30W). 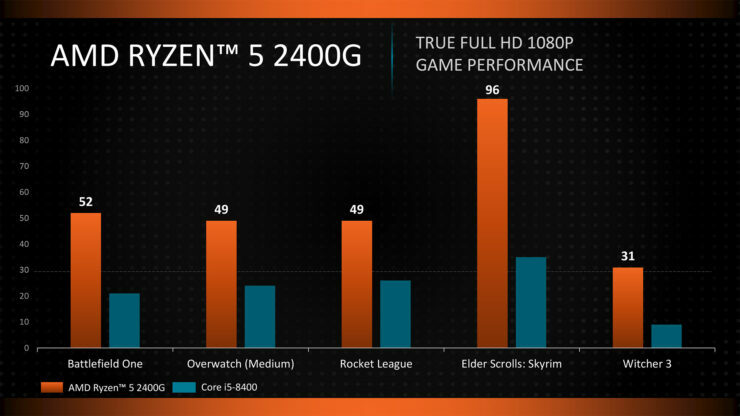 Finally, AMD has compared their Ryzen APU’s processor performance with a range of Ryzen chips and found it even better than other quad core Ryzen cpu products. All Ryzen APUs will come with an unlocked design for both CPU and GPU and the Vega chip is said to overclock beyond 1500-1600 MHz with ease along side fast DDR4-2933 support that will deliver even higher performance improvement. The new APUs will be supported by the AM4 platform based motherboards so no need to worry about compatibility. There are also two side announcements which include Ryzen Mobile and the latest of Wraith cooler. 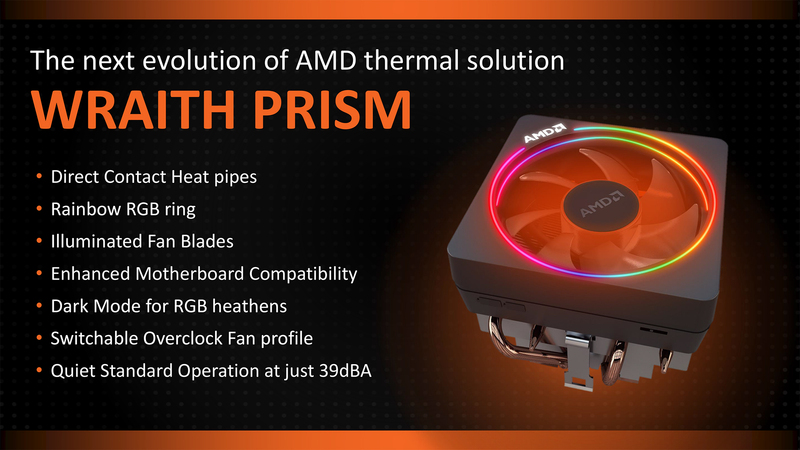 Let’s talk about the new Wraith first, called Wraith Prism, the new cooler in the Wraith lineup of AMD reference CPU coolers will include features like Direct Contact Heatpipes, new enhanced motherboard compatibility, switchable overclock fan profile, quiet standard mode operation at just 39 dBA and infuse the whole design with RGB using an illuminated ring and including dark mode for RGB heathens. There’s no word on availability but we can expect this to ship alongside the new APUs or Ryzen chips in between first and second half of 2018. Now the last topic of today’s announcements, AMD is also introducing two Ryzen 3 mobile APUs which includes the Ryzen 3 2300U and Ryzen 3 2200U. The first one is a quad core, quad thread design with 3.4 GHz max clock, 6 Vega compute units that are clocked at 1100 MHz and 6 MB of cache that are packaged inn a 15W TDP. Next up is the Ryzen 3 2200U which is a dual core, quad thread design clocked at 3.4 GHz max clock with 5 MB of cache, 3 Vega compute units clocked at 1000 MHz and a TDP of 15W. Overall, AMD has shown not only that they can deliver a great CPU for mainstream and high-end users but make it even better over the coming years. 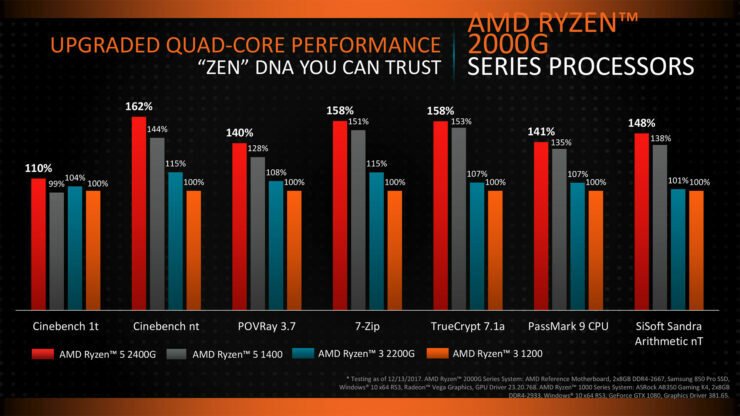 We can’t wait till the new Zen+ based Ryzen products hit the market. Which AMD CES 2018 Has You Excited The Most?